There’s nothing quite like a good clean uniform to create a polished, professional image for your business. But even the tamest of professions come with stain risks. As we head into the summer the potential for outdoor events, and the accompanying risk of stains is higher than ever. But with the help of some washing guidelines and the team at Chesapeake Uniform your team will look fresh and clean in no time. Maybe you got a little over eager digging into a slice of cake at a company shindig. Or got caught in the crossfire a sweet but sticky toddler, regardless chocolate isn’t quite the stain beast it’s made out to be. The first step is to immediately remove any excess chocolate and with careful blotting. Make sure not to rub the stain further into the fabric. When you’ve returned home soak the stained garment in cold water before using a pre-wash stain treatment. After letting the treatment sink in according to directions, wash the garment in the hottest water possible for the fabric type. 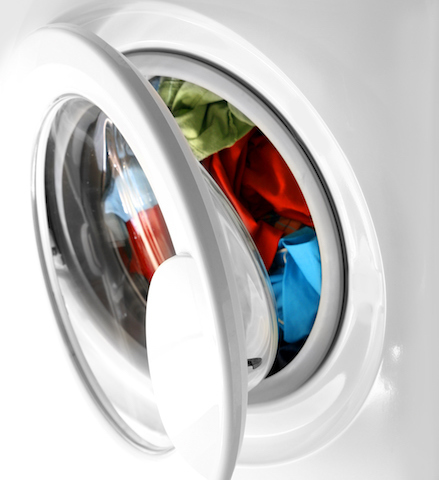 If the stain remains after washing, wash again using a bleach safe for the fabric. If you manage to make it through the summer without a barbecue stain or two, you might deserve a medal. For those who are a little more clumsy, removing the season’s favorite condiment is surprisingly easy. Start by turning the stained garment inside out and flushing with cold water. Once the stain has been thoroughly rinsed, apply liquid laundry detergent and use a laundry brush to scrub lightly to break up the stain before rinsing a second time. Using a clean sponge and white vinegar, blot the stain making sure the vinegar saturates without scrubbing. Repeat these steps as needed until the stain is removed and your uniform will be as crisp and clean as ever. The dreaded red wine stain. If you’ve splashed while cooking or were caught under fire by a sloshing Wine Mom never fear, there a few methods to try to remove the stain at home. If you catch the stain right as it happens head to a sink (if possible) to dab the stain with a towel and cold water. Once home, add a layer of pre-wash stain remover and let it sit according to the directions. Alternatively, if you are able to remove the garment right as the stain occurs, blot it with cold water and it sprinkle with a generous layer of salt before rinsing with boiling water. Depending on your uniform color, a grass stain may be the least obtrusive of the bunch. But if you’re in white those green stains can be all the more glaring. Fortunately, grass stains are one of the easiest to treat because they are so common. You’ll simply want to pick up a pre-treatment product containing active enzymes, such as Arm & Hammer Plus, and follow the directions before washing as usual. If the stain persists wash the garment again using a sodium hypochlorite bleach if your fabric allows it. Chesapeake Uniform has been providing uniform rental services for over 30 years throughout Maryland, Delaware, Washington DC, Southern Pennsylvania, and Northern Virginia. We pride ourselves on being able to offer our customers the most competitive prices thanks to our national affiliation with ApparelMaster®.Want to get started with our services? Do you have questions about our services? Contact us today by calling 410-558-3360 or visit the contact us page. Do you enjoy clicking “Like" and “Follow" throughout the day? Be sure to visit our official pages on Google+, Facebook, Pinterest, and Twitter today!